And in very big news, Serato Lite (formerly Serato Intro) now runs without any license or any controller at all. So you can get going for free – and plug in entry-level controllers if you like. Some software releases you can just meet with “ah, finally.” And that’s the case here. 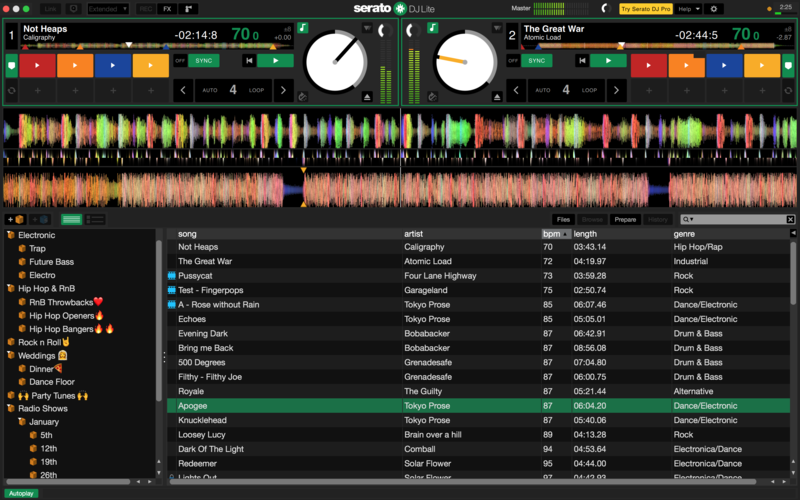 Serato’s newest update isn’t exactly revolutionary, but it’s good news both to current Serato users and to people who found limitations on past versions were an obstacle. You will have to get used to some (slightly annoying) name changes. Serato Intro is now Serato Lite. Serato DJ is now, for no good reason at all, Serato DJ Pro. But let’s forgive them the nomenclature, because whatever they want to call it, this is good news. Got a Serato DJ license? You get Serato DJ Pro for free. Plug in a controller? Works as it always did. What’s new is, you can now use Serato DJ in 2-deck “Practice Mode” and go ahead and mix without hardware. That’s a good thing, too, as those supported hardware controllers tend not to always fit in bus and coach airplane seats or comfortable while you lie in bed or on the couch. Now, you can mess around with new tracks in Serato, as you should. Practice mode, in the new Serato DJ Pro. This also means you can give Serato a try and see if you like it without going out and buying hardware. So it’s likely to help bring new users into the fold. Yes, I know virtually every other DJ tool on the planet already works this way. But that’s why it’s nice to finally see this come to Serato. 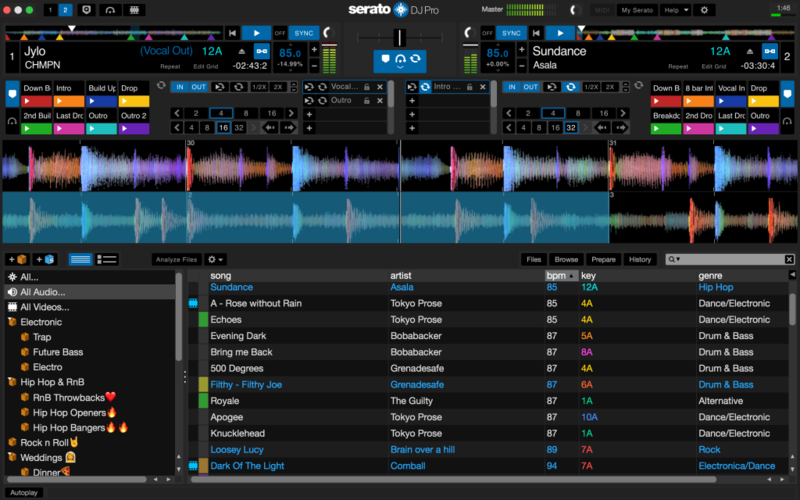 Serato DJ Pro gets some other modernization. 64-bit support brings better performance and stability. Think increased access to memory, plus fewer crashes as a result of out of memory issues. And there’s improved support for high resolution screens – so this will look better on your nice new display or MacBook Pro or other laptop. There are other UI enhancements (pictured here), and – also a big “finally!” here – there’s better help and support built into the tool. You can download the new software now. 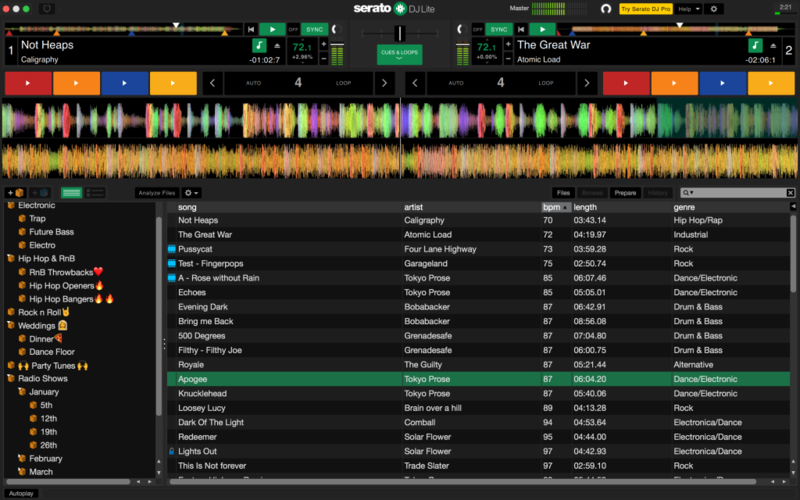 Images of the new UI courtesy Serato. 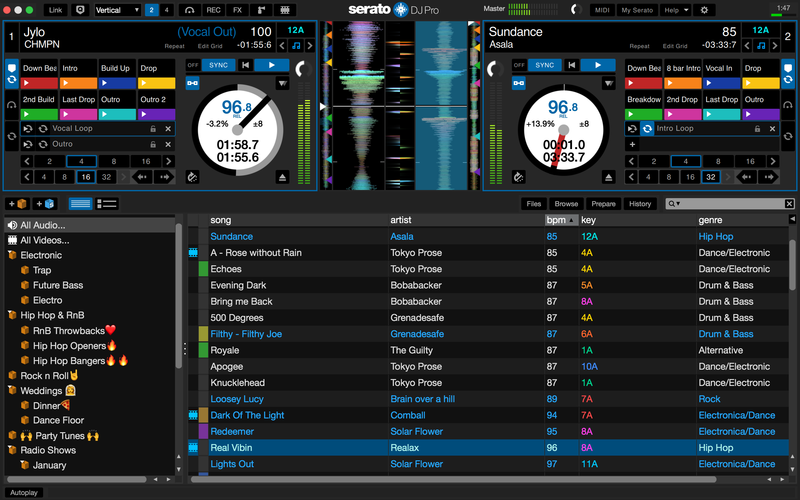 Serato DJ Lite now looks like this – and also works without hardware. In performance mode, with hardware attached, you get an expanded Serato DJ Lite interface. Performance mode in Serato DJ Pro, now featuring an enhanced UI and high-res display support (such as Retina Display from Apple).